VATICAN CITY (CNS) — Pope Francis criticized those who practice fasting as a mere ritual, rather than as a sacrifice representative of a religion of love. The pope made his remarks March 7, the first Friday of Lent, in his homily at morning Mass in the Vatican guesthouse, where he lives. 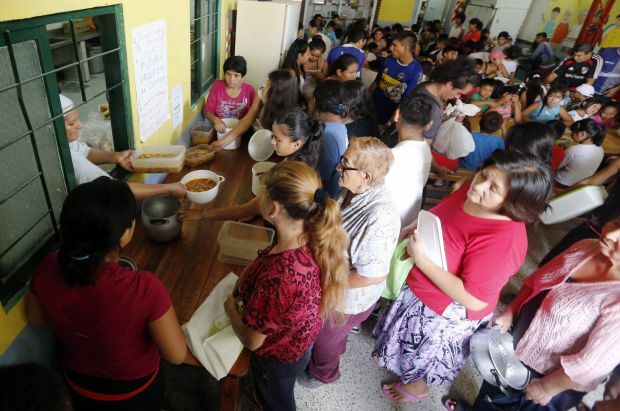 True fasting entails sharing goods with the needy, Pope Francis said, according to a report by Vatican Radio. The pope called on Christians to follow the example of the good Samaritan, drawing close to the beneficiaries of their charity in an act of true fraternity. “When I give alms, do I look into the eyes of my brother, my sister?” he asked. “Am I capable of giving a caress or a hug to the sick, the elderly, the children, or have I lost sight of the meaning of a caress?